pARTners mission is to promote creativity and improve learning in the schools by bridging the education and arts communities. The pARTners program is a formal school and community partnership, established in 1995. pARTners' approach is teacher-directed and explicitly aligned to school district goals, priorities, and standards. 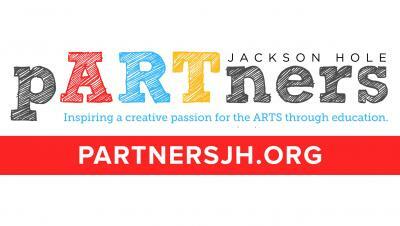 pARTners maintains ongoing communications & planning between the arts and school communities. pARTners provides grants to educators, individual artists, and arts organizations to implement arts-based projects in classrooms to enhance both the teaching and learning experience. In 2008-2009 pARTners implemented our Integrated Arts Program in which all students from kindergarten through eighth grade in the Teton County School District participate in pARTners projects each year. Integrated Arts Projects are tied to grade-level curriculum and designed to expose students to a broad array of the arts, to enhance critical thinking and to improve learning. pARTners also offers Project-in-a-Box, ready-made projects easy to access without writing a grant. These tried-and-tested projects are available to teachers during sign-up periods in mid-April and mid-October.